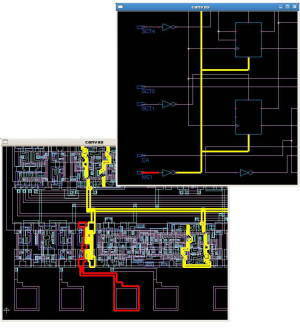 Neals strongly supports LSI failure analysis by extracting netlist from the layout, and by cross-probing the generated circuit logic with the layout. 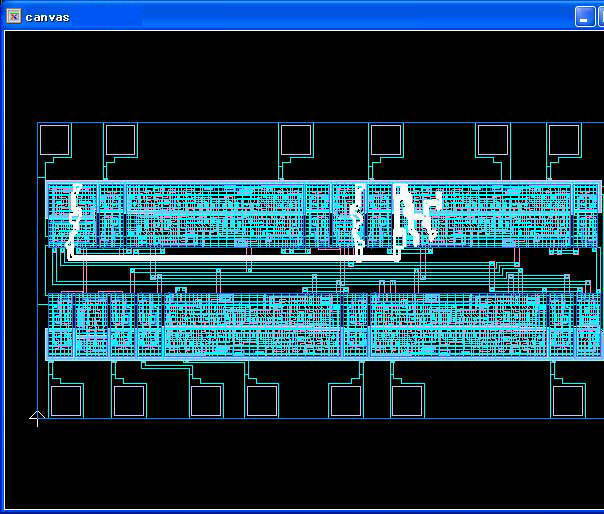 Extraction of the netlist from the layout enables failure analysis of LSI with no circuit data remaining. Clear view of the circuit arrangement allows you to check the connection of circuits easier than checking form the netlist. Cross-probing function makes failure analysis easier, reducing the turnaround time and the human errors. Neals cross-probing function highlights the equivalent points of circuit logic and layout. Cross-probing of each layer is possible, making it easier to analyze. Neals can cross-probe from equipotential lines and VIA. 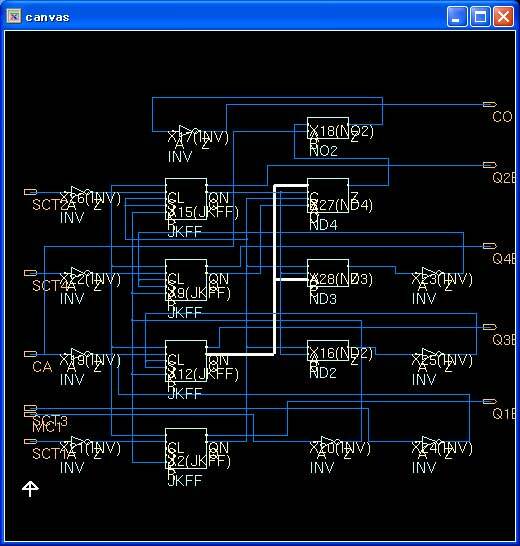 It highlights the connected cell and circuit, making failure analysis easier and more efficient.